Nowadays, whole-body cryotherapy is amedical physical treatment widely used in sports medicine. Recovery from injuries (e.g., trauma, overuse) and after-season recovery are the main purposes for application. However, the most recent studies confirmed the anti-inflammatory, anti-analgesic, and anti-oxidant effects of this therapy by highlighting the underlying physiological responses. In addition to its therapeutic effects, whole-body cryotherapy has been demonstrated to be a preventive strategy against the deleterious effects of exercise-induced inflammation and soreness. Novel findings have stressed the importance of fat mass on cooling effectiveness and of the starting fitness level on the final result. Exposure to the cryotherapy somehow mimics exercise, since it affects myokines expression in an exercise-like fashion, thus opening another possible window on the therapeutic strategies for metabolic diseases such as obesity and type 2 diabetes. 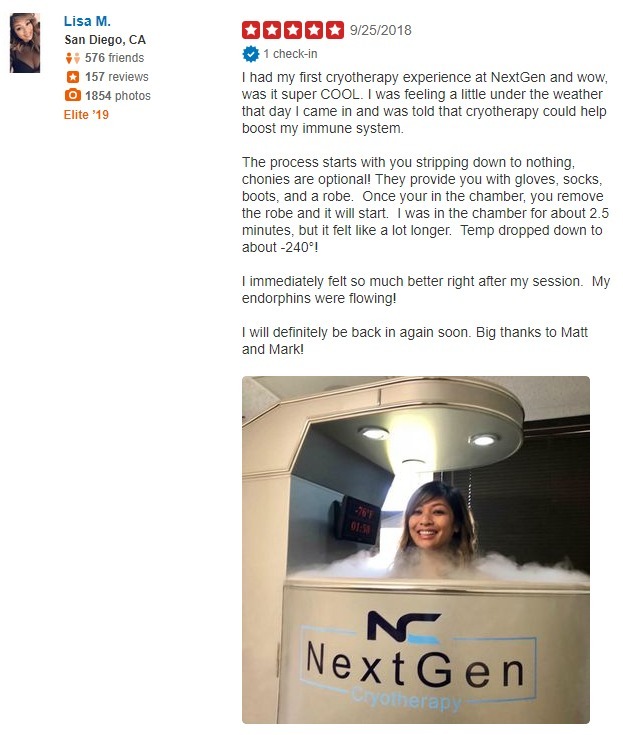 From a biochemical point of view, whole-body cryotherapy not always induces appreciable modifications, but the final clinical output (in terms of pain, soreness, stress, and post-exercise recovery) is very often improved compared to either the starting condition or the untreated matched group. Also, the number and the frequency of sessions that should be applied in order to obtain the best therapeutic results have been deeply investigated in the last years. In this article, we reviewed the most recent literature, from 2010 until present, in order to give the most updated insight into this therapeutic strategy, whose rapidly increasing use is not always based on scientific assumptions and safety standards.